Canned foods can be as nutritious, and in some cases more nutritious, than fresh and frozen counterparts. Simple, convenient and versatile, canned foods provide an array of options for families looking to increase nutrition during mealtimes. However, some home chefs may not be aware of the benefits canned foods bring to the table. Fact: Research published in the Journal of the Science of Food and Agriculture shows canned foods can be as nutritious, and in some cases more nutritious, than fresh and frozen counterparts. 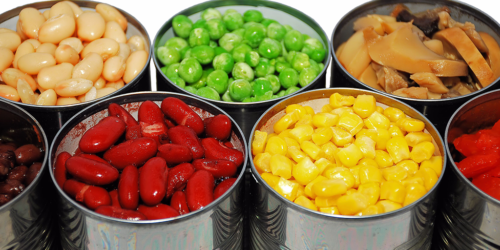 Fact: Since canned foods have already been cooked, preservatives aren’t necessary to prevent spoilage. The canning process itself preserves the food. Tip: Add preferred canned beans, such as white kidney beans, pinto or Romano beans, in place of, or in addition to, black beans.